This Master Series combo set includes male and female dies for flaring #6 and #8 eyelets, as well as male and female dies for setting Line-20 and Line-24 snaps, all commonly used in knife sheath and gun holster making. 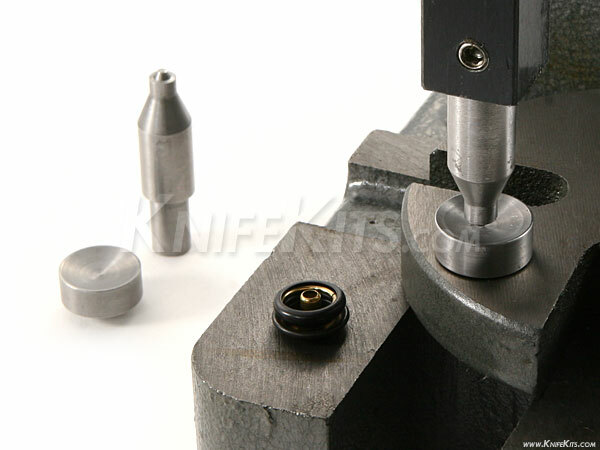 These are professional grade and value priced for serious hobbyists. 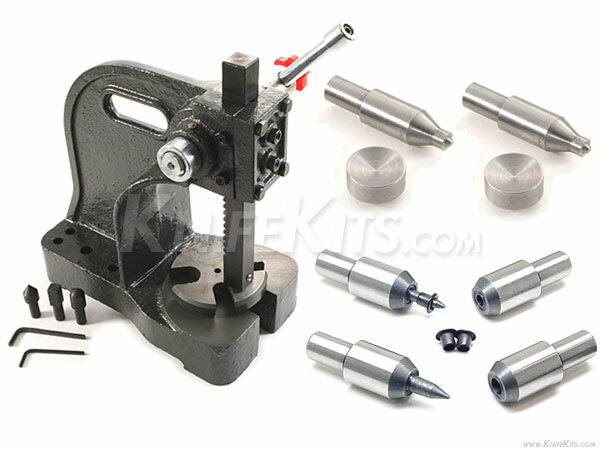 Our Master Series eyelet flaring combo set is designed to professionally "roll" the unflared side of #6 and #8 holster eyelets by using our Pro Flaring Press (included). 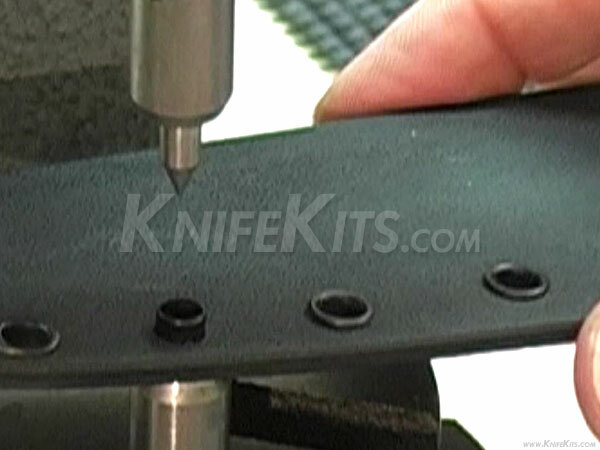 The CKK Master Series die system is the industry standard for KYDEX®, HOLSTEX® and BOLTARON® eyelet press-flaring and is used by professionals who make thousands of holsters and sheaths. 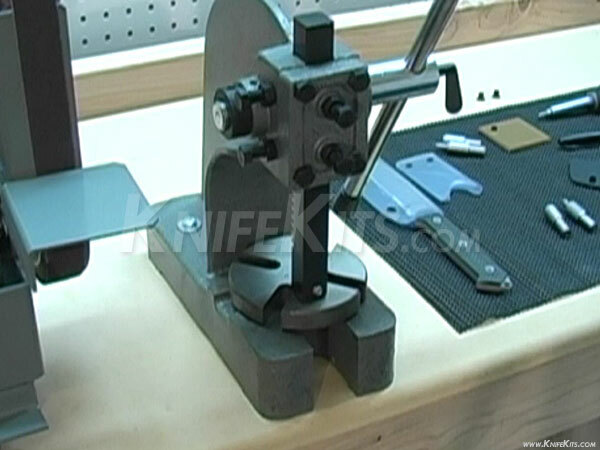 Our Master Series snap setters are designed to professionally affix 2-part Line-20 and Line-24 snaps to leather, cloth, rubber and most other materials. These come as a 2-part male/female system and are heat treated for super long life. 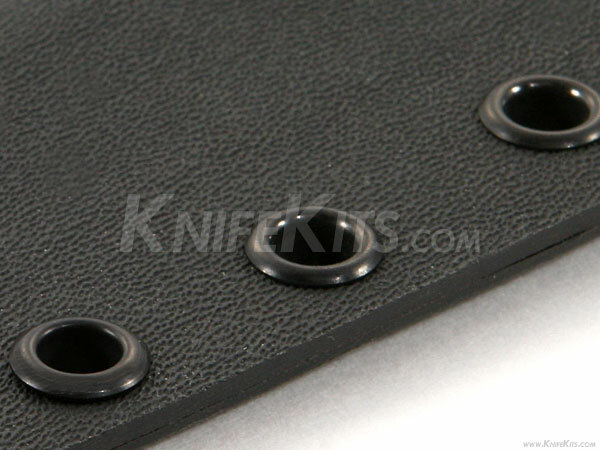 #6 eyelets require a .187 inch hole (3/16) drilled in the thermoplastic sheet or leather for fastening. 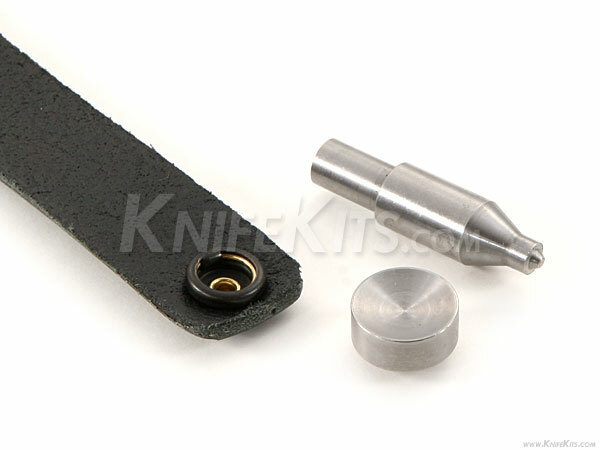 #8 eyelets require a .250 inch hole (1/4) drilled in the thermoplastic sheet or leather for fastening. 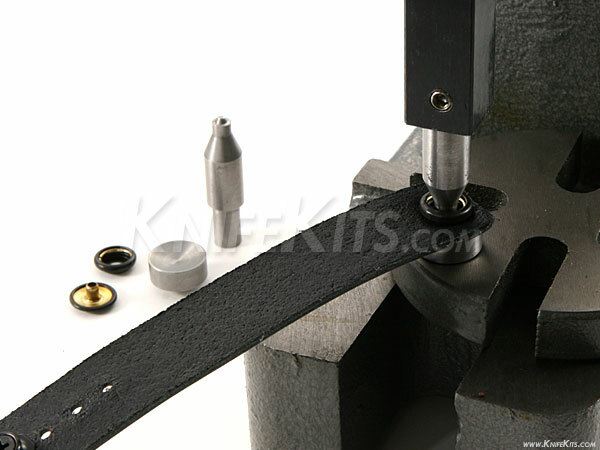 Dies made in USA at CKK Industries, Inc.
* Pre-rolled eyelets/Pre-set snaps and finished leather straps and holsters shown below are for demo purposes only and are not included in combo die set.